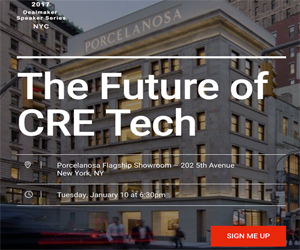 As more and more companies attempt to change the face of real estate, TheSquareFoot is hoping to make its own impression and disrupt the commercial real estate scene. The real estate leasing marketplace has a simple goal of helping companies move into offices that fit their needs while using technology to make that process easier. Over the course of the past several years, the firm has continually adapted its business model to meet an ever-evolving customer demand. By deploying the use of technology-driven tools, such as a virtual tour booker and space calculator, TheSquareFoot optimizes transactions for both brokers and clients. One element that sets the company apart from traditional brokerages is that brokers working for TheSquareFoot are full-time employees earning a fixed salary. In other companies, brokers are typically independent contractors who work on a commission-driven basis. Prospective tenants using the company’s service are able to browse literally hundreds of available listings. Those listings are sourced for a vast array of landlords and property owners, giving prospective tenants the greatest selection possible. In addition, TheSquareFoot also offers web-based tools to assist in making the leasing process more personalized and transparent for tenants. Landlords are also able to feature listings on the website at absolutely no cost in order to gain exposure for their properties. Originally, TheSquareFoot used a subscription-based model without any in-house brokers. When the company first launched, landlords paid a fee each month to have listings featured on the platform. While that model worked well in the original launch cities of Houston and Dallas, company execs decided to take TheSquareFoot to the next level and made the move to New York. That decision proved to be pivotal for the company, which soon launched as a full-service one-stop commercial real estate leasing marketplace. Now, prospective tenants are able to take advantage of everything they need to locate an office, obtain relative pricing they can actually understand, and find the tools they need to get their new space set up, including access to commercial movers, IT providers, furniture vendors, and numerous other product and service providers. According to the company, they serve SMB owners as well as entrepreneurs. In fact, TheSquareFoot reports that 75 percent of all commercial leases they handle are less than 5,000 square feet. As most brokers often focus on larger spaces, this is a demographic that is frequently ignored in the commercial real estate industry. Thanks to the innovative approach TheSquareFoot takes, tenants are actually able to benefit from a stronger position in the leasing process. On the landlord/broker side, clients are able to take advantage of incredibly valuable leads that are already pre-educated. It’s a win-win situation for everyone. Ultimately, the goal of the site is to make the commercial real estate leasing process as easy and transparent as possible for everyone involved, as the company itself does not have a vested interest, as is usually the case with traditional brokerages.